Iconic: "Widely known and acknowledged, especially for distinctive excellence..."
When you speak, we listen. Sometimes you have to wait. But the wait and anticipation is over, it’s in your rear-view mirror. The new NS6II has arrived! 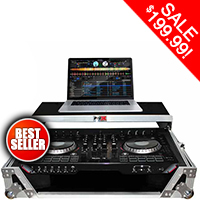 The original NS6 was conceived and built at a time when the 4-channel standalone DJ controller did not yet exist. 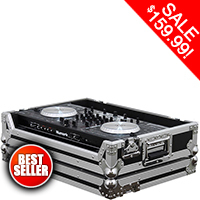 We knew you wanted it, and Numark was the first to bring it to you. Now, our new NS6II builds on the NS6’s amazing legacy of innovation and performance and delivers to you a truly iconic 4-channel DJ controller, now with two USB outs and built-in hi res screens! 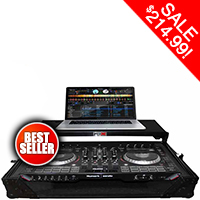 A Numark first - a Numark DJ controller that enables you to connect two laptops simultaneously, connected to Serato DJ for seamless DJ hand-offs. 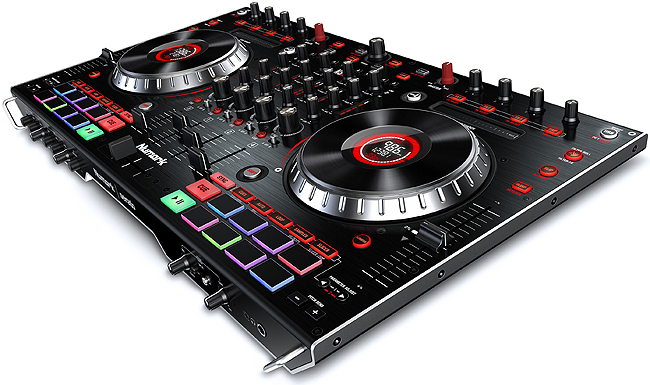 With a push of a button you and your partner DJ can switch between two laptops and play at the same time between four channels. The possibilities are endless - your creativity has been unleashed! Playing to the crowd is key to the success and energy of any event. Maximize the energy and stay connected to the crowd with the built-in full-color 2-inch hi-res displays. You can monitor BPM, platter position, time remaining, pitch adjustment and keylock. Critical information that ticks all the boxes with intuitive actions to keep you focused on the performance. 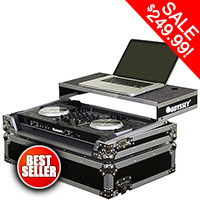 Your DJ senses are on fire as you select the next song in your playlist, all without ever looking at the laptop. 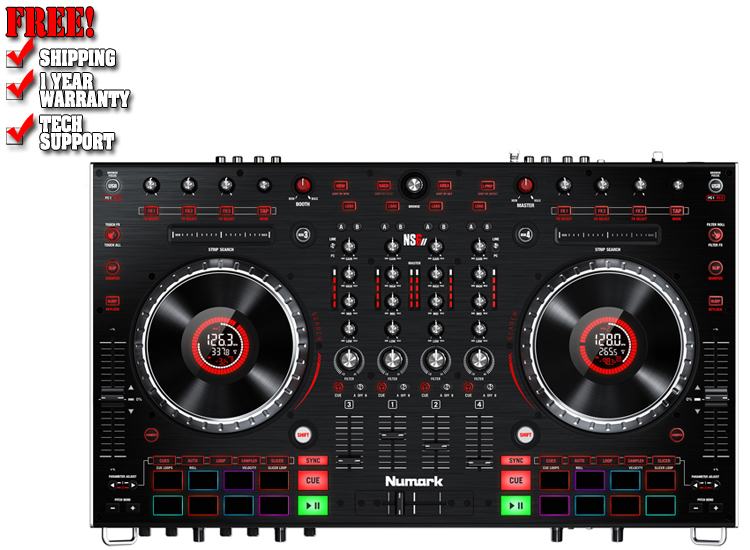 In addition to the dual USB outs, the NS6II is a standalone 4-channel mixer to connect turntables and external media devices. You can connect two media devices to the RCA line/phono inputs and switch between them on a dime. Touch-capacitive frequency knobs (exclusive to Numark), with a simple touch adjust mid, low and high frequencies during the mix, for the perfect tone. With its audiophile-grade circuitry, the NS6II delivers impeccable 24-bit sound quality without compromise. Rubber MPC performance pads give you quick access to hot cues, auto loop/roll, manual loop mode sampler and slicer. Each function duals-up with sub functions to give you access to a total of 16 velocity-sensitive pads. Slicer - As the track is playing the pad will follow the beat, and when pad is engaged (rhythmically) beat will stutter per parameter. Secondary function (click button twice) will change the slicer into looping when pad is engaged temporarily. 100mm pitch fader gives you full control of tight, seamless blends across 4-channels. On the built-in display, the pitch indication can be monitored without looking at the laptop. 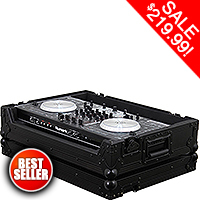 The smoothly-resistant long pitch fader is responsive to every tick of the beat. 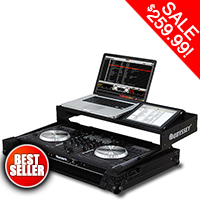 The full version of Serato DJ comes with the NS6II, and all you have to do is plug and play. NS6II also has an option to upgrade in Serato DJ for the DVS expansion. The DVS expansion allows you to connect external turntables for time coded vinyl control.